This Grand Canyon excursion provides round-trip transport from Flagstaff and includes an overnight stay in Tusayan, just outside the National Park gates. 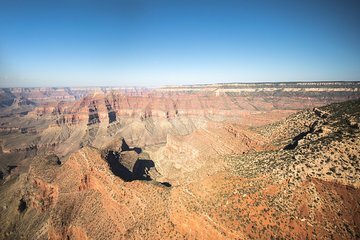 Explore the canyon’s South Rim and enjoy free time to hike, shop, and take in the spectacular views. Plus, upgrade to include activities such as a bike ride along the rim, a trip on the historic Grand Canyon Railway, or a scenic helicopter flight over the canyon.